When the opportunity came up to Jump on Ally’s Magic Carpet Ride I could not resist. 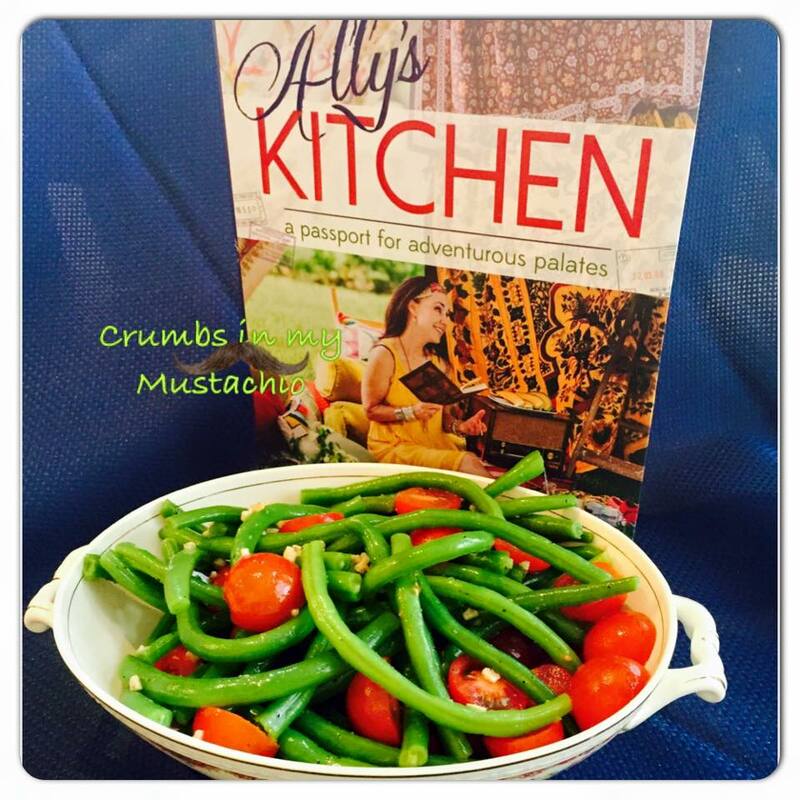 I was so excited when I finally received my copy of “Ally’s Kitchen” a passport for adventurous palates. It is an Beautiful Book full of wonderful pictures and recipes. All the recipes are easy to follow and I could sit and flip through the pages over and over again. As you travel through the cookbook you find yourself on a ride through Sauces and spices and then journey through many exciting flavors from Europe to the Caribbean Islands with many stops full of flavor in between. It truly is a magic carpet ride full of flavors. This Recipe comes from page 31 of the cookbook. First Blanche the Haricots Verts in boiling water for about 5-6 minutes, drain and submerge in a large bowl of ice water. Cool about 10 minutes, then drain again. Put the beans in a medium bowl and set aside. In a small skillet over med-high heat place olive oil, garlic, salt and pepper. Saute’ 4 to 5 minutes, stirring occasionally. Drizzle mixture over the green beans. Add lemon zest, lemon juice, thyme and tomatoes. Gently toss. Refrigerate about an hour before serving. Now what are you waiting for get out and get yourself one of these wonderful cookbooks and take a carpet ride. You don’t even have to get out of your PJ’s or leave the house. I was given a copy of the cook book and all the opinions are my own. I loved your review and this recipe will be the next I try. Thank you for being part of Ally’s Cheering team. She really did a great job with this cookbook and your review will inspire others to want it.